With the increasing use of electronic gadgets like smartphones, tablets and play stations, greater number of children is suffering from eye related problems. Likewise, in adults, with more and more people suffering from problems like diabetes, eye disorders are on the rise. Hence, it is really important for everyone to take good care of their eyes. If you stay in Delhi and are looking for the list of top 10 most popular eye hospitals in the city then here is the answer to all your searches. Find below the names of all top ranking eye hospitals in Delhi which promise the best eye treatments to patients and help them see better. Max Eye Care unit is the most popular centre with the leading eye surgeons & highly sophisticated technology like C3R Therapy works towards providing patients with cost effective eye care. It is one of the finest units of Max Healthcare Hospitals which is known for its exclusive Low Vision Rehabilitation Programme which has been specially designed to facilitate an optimum level of wellness for patients. Dr. Agarwal’s Eye Hospital is one of the best eye hospitals in the city. It is dedicated towards bringing advanced internationally approved eye care services to your doorstep. It is listed as A Major Eye Centre of the World by The International Congress of Ophthalmology The Hospital. Since its inception in 1994, it has been providing a wide range of eye care solutions to patients from all over the country. Centre for Sight was established in 1996 by Dr. Mahipal Sachdev who is a renowned ophthalmologist and a Padmashree awardee. It is one of the most famous places for complete eye treatment and has played an important role in changing the face and service standards of eye care in the country. Centre for Sight won the prestigious FICCI Healthcare Excellence award for Operational Excellence. The award is recognition of their efforts in making eye care a super specialty in India. Eye7 is a one-stop solution for seven major eye problems. It is one of the top ranking eye hospitals in Delhi which is dedicated to bring healthy vision to patients. Specs removal, cataract, ICL, Glucoma, Cornea, Retina, Squint, Oculo-Plasty are the seven areas of specialization at this wonderful hospital. This hospital promises complete eye treatment for patients in Delhi by offering them the best of the facilities and treatments. Vasan Eye Care is one of the trusted names in the industry. 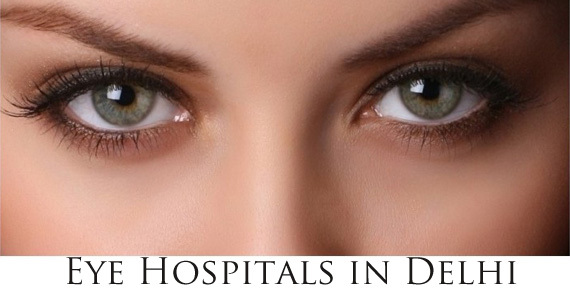 It is known to be one of the best eye hospitals in Delhi. It is also the world’s largest eye care network Vasan Healthcare Group – the flagship company is working towards building the vasan brand to be the world’s largest day care service provider. It promises to offer the best eye treatments to patients at the best prices by offering the finest services of the most experienced doctors in the industry. Sharp Sight Centre is another very popular name in Delhi for eye care and treatment. It promises warm and friendly environment to ensure complete comfort of the patients. It has the finest of the technology to ensure the best and most modern treatment for patients at reasonable prices. Since its establishment in 1998, it has been striving to come up with technological breakthroughs in the field of ophthalmology in the country by setting up centers of excellence which provide consistent high level eye care. Shroff Eye Centre is a super specialty eye care facility which is known for offering world class modern diagnostic, therapeutic and rehabilitative services of the highest quality. It is one of the most popular names in Delhi. Recognized as a premier eye care service provider, it has a staff of over 125 including over 35 doctors which promise complete eye treatment. It is known to perform over 4000 surgeries every year. Foresight Eye Clinic ranks amongst the best eye hospitals in Delhi. It is known to be the global hub as it provides comprehensive eye services, enriching lives in preserving and improving vision. If you are looking for a one stop destination for all kinds of eye related services then this is the place to be. It is popular for the wide spectrum of services that are over here to ensure complete eye care. It is also approved by Directorate of Health services, Govt of NCT of Delhi. Guru Gobind Singh International Eye Centre is known for its competent, highly skilled and caring staff which works with utmost dedication to ensure complete care and comfort of the patients. It has the team of the most efficient and experienced doctors who promise to gift patients the gift of vision. The hospital has the team of senior surgeon, finest ophthalmic medical care and latest 3d diagnostic and surgical equipment available in the world to make sure that the patient gets the best treatment. Fortis Hospital is a multi specialty hospital which is known for various medical services. It is also known for its finest team of doctors which are efficient in providing compelte eye care solutions and eye surgery. Fortis Ophthalmology Department is almost 25 years old and holds a good reputation of the department. It offers Phaco Foldable IOL, Retinal Laser technology, Retinal Detachment surgery and Complete Corneal diagnostics etc.